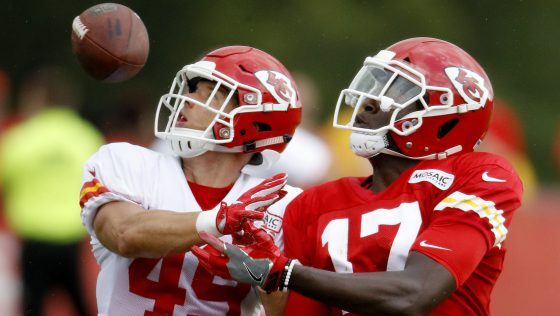 The Chiefs, who weren’t deep at safety to begin with, will not have starter Daniel Sorensen when the regular season begins. Sorensen, who injured a knee at training camp, will have surgery and miss the first part of the regular season, Adam Schefter of ESPN reports via Adam Teicher of ESPN. Sorensen, 28, became a starter last season, his fourth with the Chiefs after being signed as an undrafted rookie from BYU. Sorensen replaced Eric Berry, who missed all but the season opener after tearing his Achilles tendon. Berry is back, but the Chiefs early in the offseason released another longtime starter, Ron Parker. The Chiefs gave Berry the day off from practice Tuesday as part of his rehabilitation program. Without Sorensen and Berry, the starting safeties were Eric Murray and rookie Armani Watts. Murray was the third safety for the Chiefs last season, playing in 14 games. Watts is a fourth-round draft pick from Texas A&M.